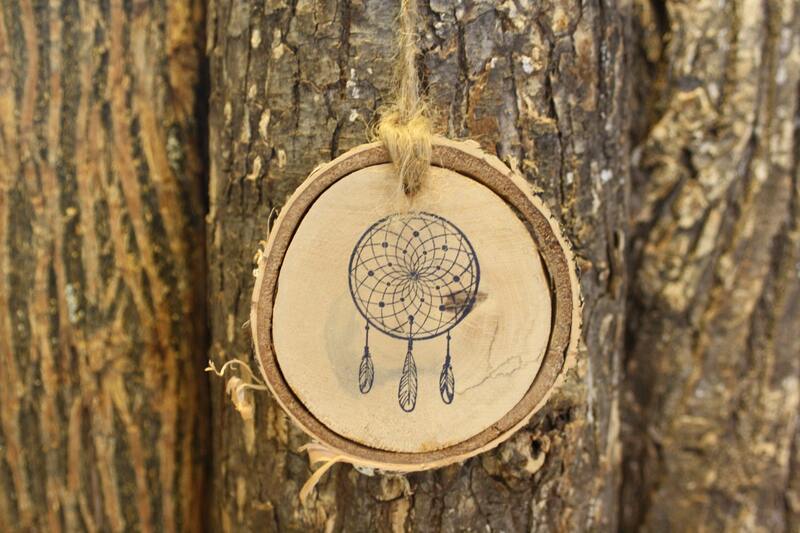 These cool and unique dreamcatcher ornaments are hand-stamped and crafted with care. Each birch log slice has been dried, lightly sanded, and finished with a jute string. Keep for yourself, or give to a friend! You'll be very happy with this unique stamped ornament! Available individually or as a set of three. Each ornament measures approximately 3" diameter.